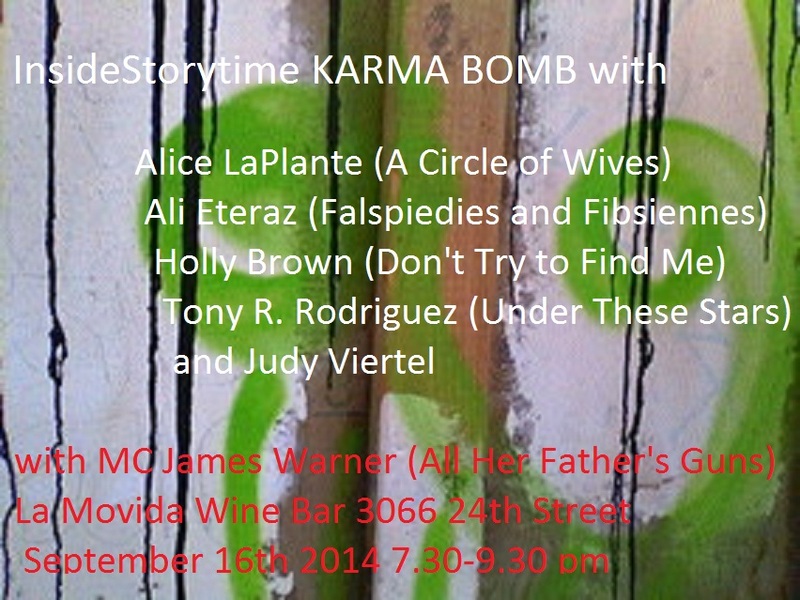 Alice LaPlante read scenes from a forthcoming work about death in Half Moon Bay. Ali Eteraz delivered his story "Honey," blending Islamic magic realism with Western surrealism. Holly Brown excerpted from Don't Try to Find Me, about a teenager who disappears leaving her iPhone behind. Tony R. Rodriguez evoked a complicated female beatnik from Under These Stars. Judy Viertel performed the story of a depressing encounter.